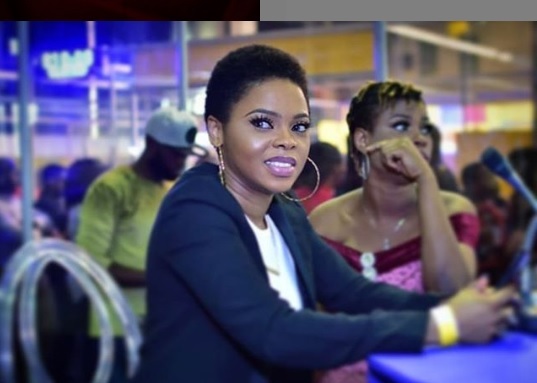 A Nigerian OAP identified as Benny Ark recently made some claims about singer Chidinma Ekile on the morning breakfast show of popular radio station, City FM 105.1. The media personality while discussing the lyrics in sensational singer Kizz Daniel’s latest single with his co-hosts, made the submission that the song was dedicated to Chidinma, who was allegedly involved in a romantic relationship with Kizz Daniel, and still goes on to sleep around. 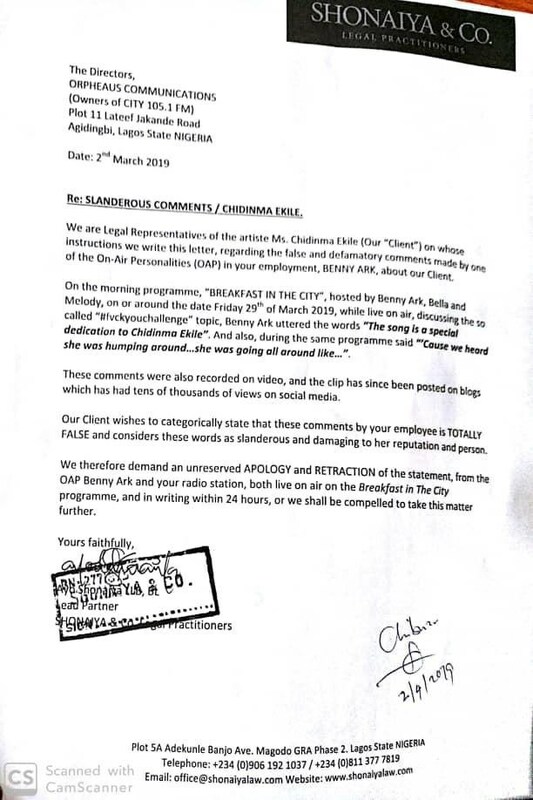 In one of the video recordings of the breakfast show, Ark was filmed on camera uttering the words: ''Cause we heard she was sleeping around…going all around like.."
Reacting to the OAP’s comment, the songstress through her lawyers Shonaiya & Co, wrote a letter to the management of the radio station, demanding a public apology and retraction of what was considered as false and defamatory comments, made by the radio boy.